Effect of Supplements in Body Building!!!!!!! 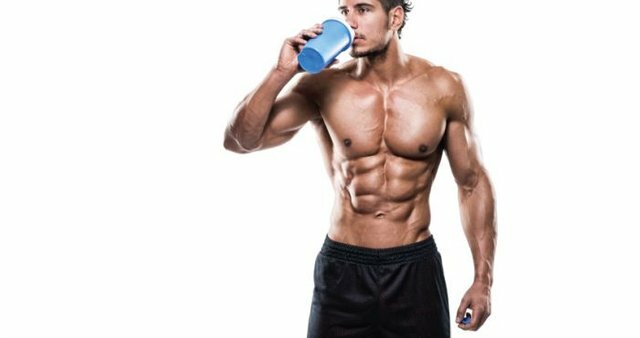 We all know that the supplements we use for body building is having both effect & side effect,Lets take a look at the side effect which we have to be aware. Having a diet of protein supplements with no carbohydrates push the body to the state of ketosis,means the body start to utilize the fat as the primary source of energy,which leads to high blood acidity levels,consistent high blood acidity is known to impair lever function & may leads to severe lever disorder. As many of us know that our hairs are made up of keratin which is also a protein,so it may be good to get more protein to give its growth a boost ?? but no its not like that.When you ar working in gym with thrive of protein supplements you are reducing the intake of vitamin carbs & fat,which triggered the telogen effluvium which leads to the heavy har loss & balding. Hormonal Disruption is the major issue when the supplements we take contains soya protein,which is also rich in amino acid & phytoestrogen,it leads your endocrine makes your system imbalance. we all know that the more than 90% soy is used in the genetically modified supplements,this supplements contains a chemical called glypsophate which is responsible for hormonal imbalance. Many of the protein are laceed with the heavy metals such as arsenic,mercury & cadmium.In simple way we can say that prolong consumption of the supplements may leads you to sickness ,exortion,& throbbing muscle. We all know that we only choose the supplements which is more flavorable such as chocolate,vanilla etc.Which contains the addictive & artificial sweetener which results in the undesirable in the blood sugar level.studies said that the it may ring your blood sugar level to a ways down than normal. You got a 0.79% upvote from @mercurybot courtesy of @cbeep! You just rose by 1.6949% upvote from @therising courtesy of @cbeep. Earn 43.8% APR by delegating SP to therising. For more details visit: https://steemit.com/budget/@therising/auto-daily-payout-of-43-8-apr-for-steem-power-delegations-starting-from-500-sp-only-limited-period-offer. You got a 2.92% upvote from @minnowvotes courtesy of @cbeep!